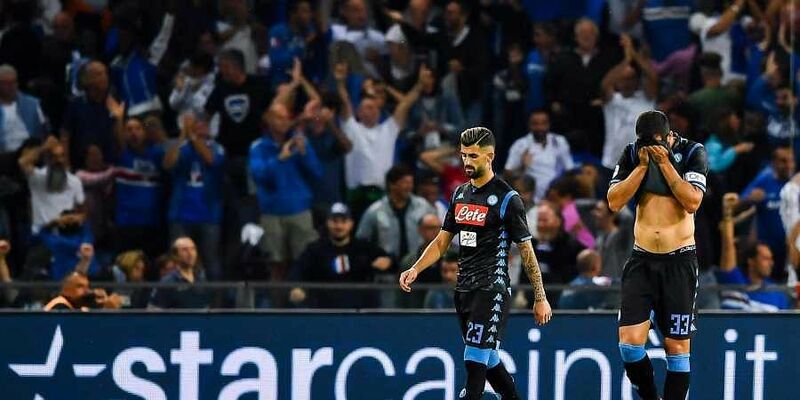 MILAN: Napoli's hopes of pushing Juventus all the way in the title race diminished on Sunday and the boos rang out after it was held to a surprise 0-0 draw by bottom-of-the-table Chievo Verona. Also, Milan midfielder Hakan Calhanoglu hit the post early on and Milan goalkeeper Gianluigi Donnarumma made a spectacular one-handed save to keep out a powerful header from Wallace while Milan was leading. Lazio remained one point ahead of Milan. Atalanta midfielder Josip Ilicic was sent off six minutes from time for dissent after he had a goal ruled out for offside. Empoli moved a point clear of the relegation zone while Atalanta slipped to ninth. It's Parma's first season back in the top flight since going bankrupt in 2015. Elsewhere, Fiorentina was held to a 0-0 draw at relegation-threatened Bologna.